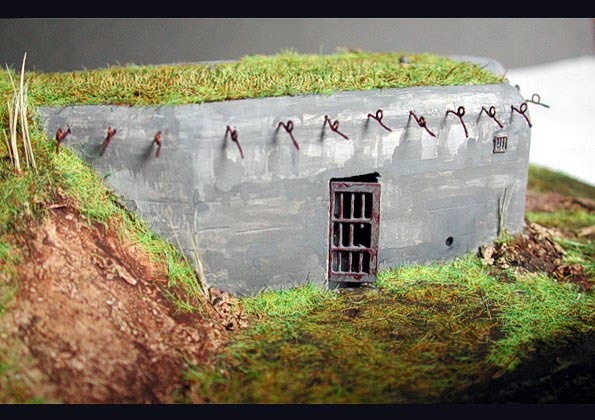 This bunker is built out of the Samek Models kit I purchased via http://forteg.cz .The body of the bunker is gypsum casting. 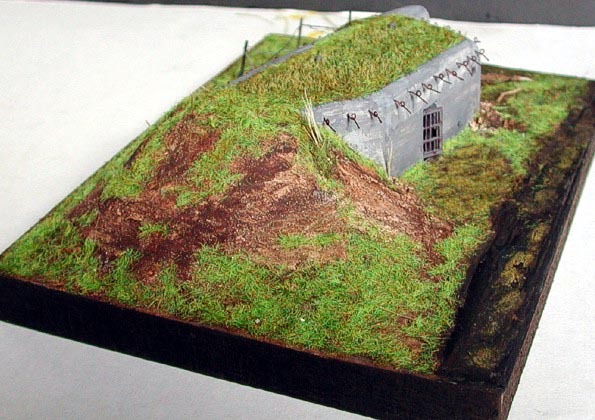 The kit includes also entrance grille, wire for eyes making and grass spreading. 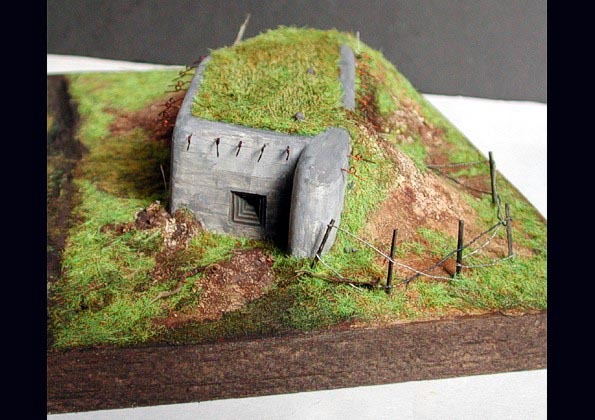 Mentioned grass seems to me too poor so I used other type for my scennery. 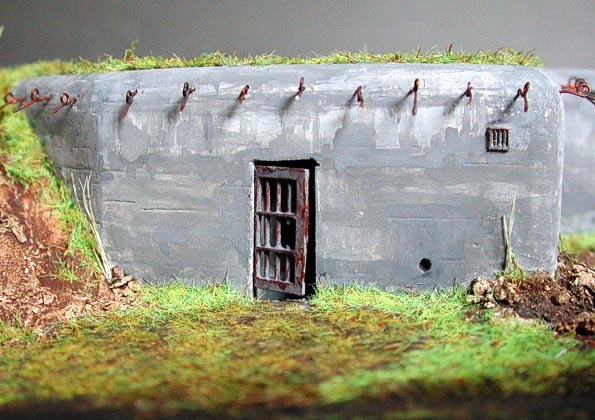 The rest of parts (barbed-wire, pillars, terrain atc.) are hand-maid. 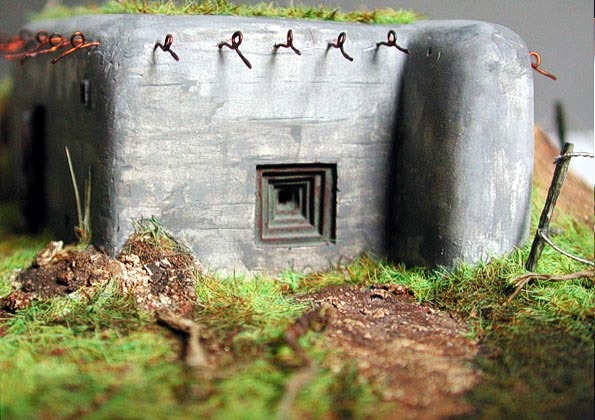 The barbed wire is prepared according to instruction in ”Tips & Tricks”. The entrance is slightly modified to be more accurate - eked out with loophole covering the entrance grille. 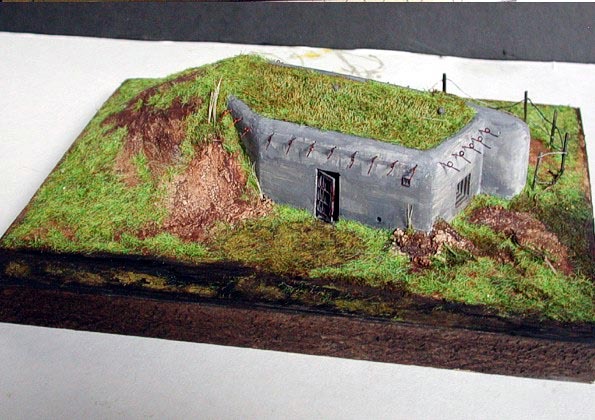 The scenery terrain is created of gypsum and PC box liner /I don’t know exact name of this material but it looks like hardened foam rubber/. Whole scenery is painted with usual watercolors. The wire eyes are painted with Matt Coat and together with other "metal" parts rusted by ”drybrush” with brown Humbroll. The loopholes are green (also Humbroll) and also rusted but by washing of brown watercolor. The grass is spotted on places with diluted white glue. The pillars are colored chips placed into holes drilled into finished terrain. 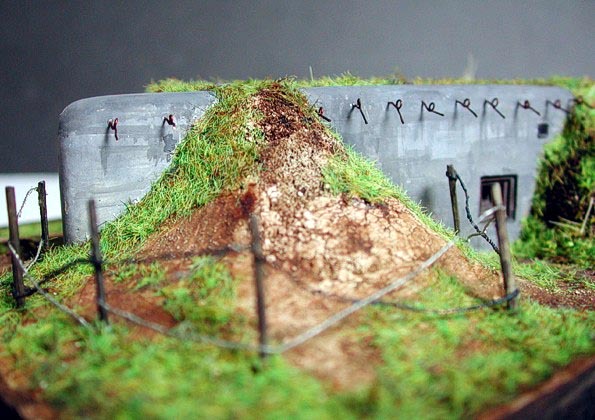 The barbed wire is glued with second-glue. Last the whole scenery around ”Ropíku” is airbrushed with Matt Coat. 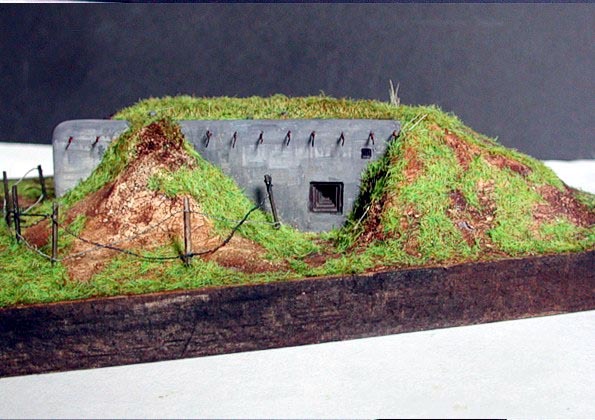 Web site http://ropiky.hyperlink.cz is perfect reference source for complete Czechoslovak border bunkers line.